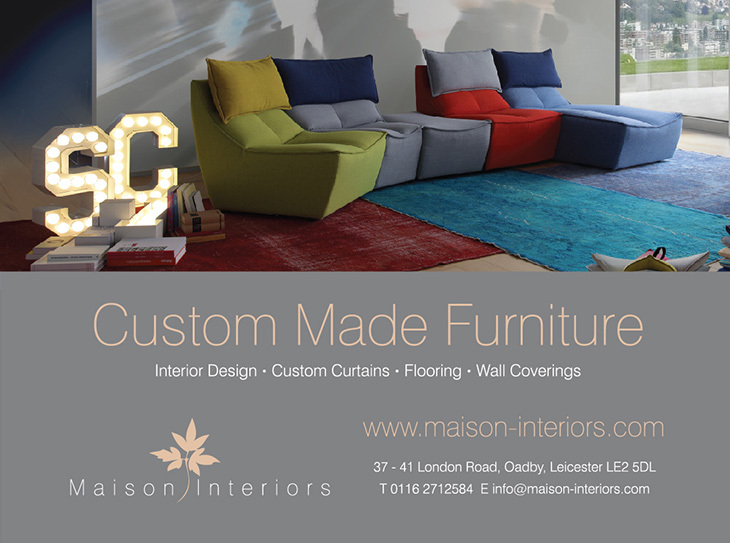 Our latest stylish advert showcases the ‘Custom Made Furniture’ options available at Maison Interiors. As always at Maison Interiors we offer only the very best in quality and choice for our customers, personified by the flexible options available with our ‘Custom Made Furniture’ feature. We have hundreds of fabrics from leading brands to choose from. The customer can have a completely bespoke piece or make their own tweaks and changes to the models we have in store. (Size/Shape/Fabric etc….) To provide maximum flexibility. Maison Interiors provide an exclusive 10 year guarantee on the frame itself, with 3 years on the fabric. And most importantly it’s fantastic value for money. For a stunning example of how we can create your dream ‘Custom Made Furniture’ see our latest advert. (Pictured Right). More options are also available via the dedicated ‘Furniture’ section on our website or you can visit us in store and speak to one of our expert and friendly team of designers. Also don’t forget to stay tuned for regular blog posts from our resident Interior Designer.